Yesterday we drove in to Waikiki, which is on the south shore of the island. It took us about an hour to get there so we got to see a lot of the island on our way. We drove parallel to the ocean and got to see part of the sunset, which was really nice. The neighborhood of Waikiki was beautiful! It was so modern and lively, completely different to the part of the island we're staying in. The streets are lined with high end stores, hotels and restaurants. But it wasn't overdone, just perfect. It reminded me a lot of Europe actually. I didn't get a good picture of the area in whole but will get some next time we go. What's the name of the store?! I live in Honolulu. I would like to go check out the store. You always have the nices pics! 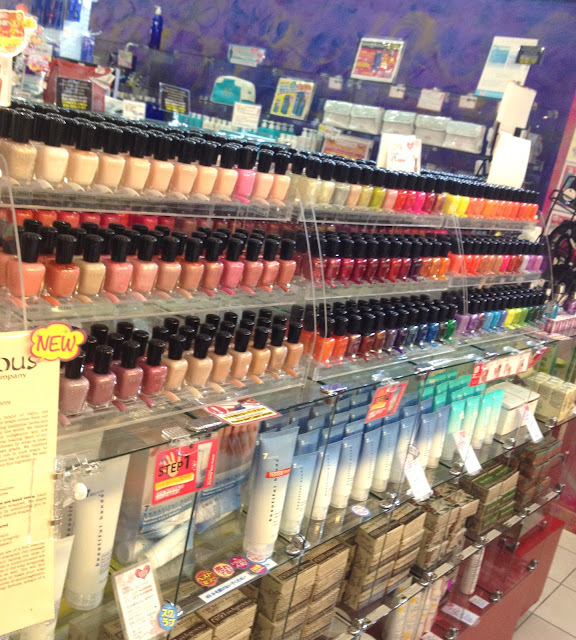 Love all the nail polish that you picked! Me too, I'd like to know! It's not always easy to find the stores/salons which carry certain brands in Hawaii- they aren't listed online. I love the colors you chose by the way. I might look into that Avril color especially. 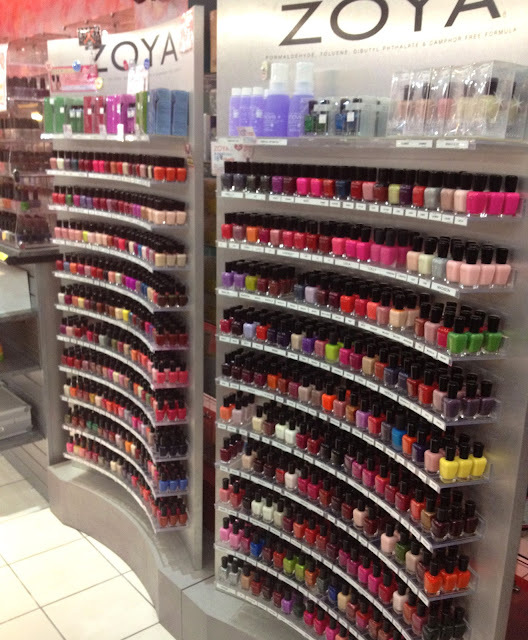 Omigosh, definite nail polish heaven. Love all the colours you picked! 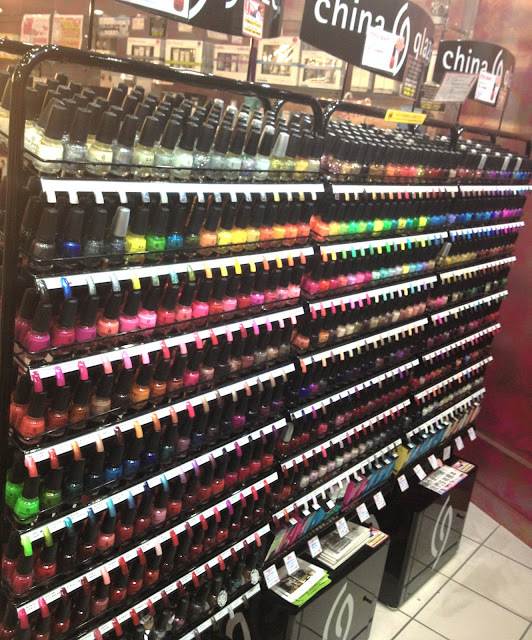 It's certainly a nail polish heaven! Annie, i'd like to know the name of this store, please!